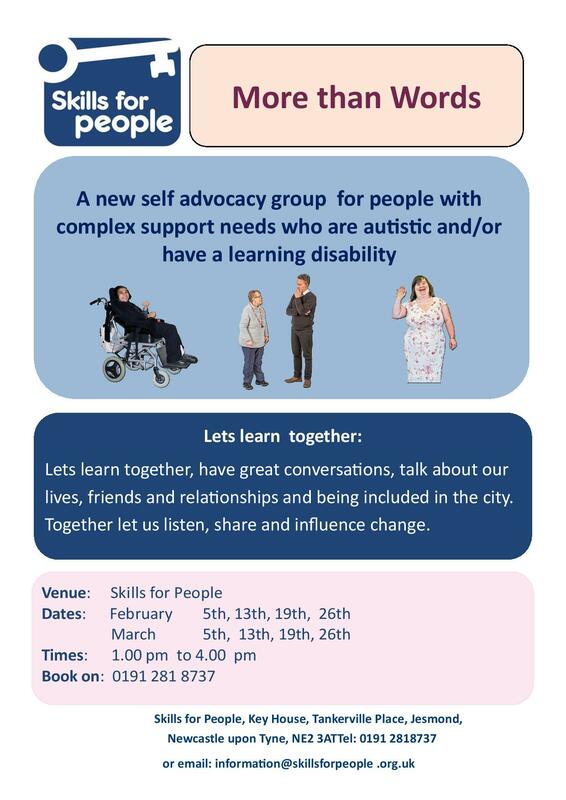 A new self advocacy group for people with complex support needs who are autistic and/or have a learning disability. Let's learn together, have great conversations, talk about our lives, friends and relationships and being included in the city. Together let us listen, share and influence change. For bookings please contact Skills for People at 0191 281 8737.